Excellent quality. The most models in this collection are puffed up and have a very nice finish, folded edges and brass cups in the drill holes for extra durabillity. Our nameplates are not made with a cheap silk screen print, but always coloured by hand with templates. By making these signs completely by hand, you can see and feel the relief of the inscription. 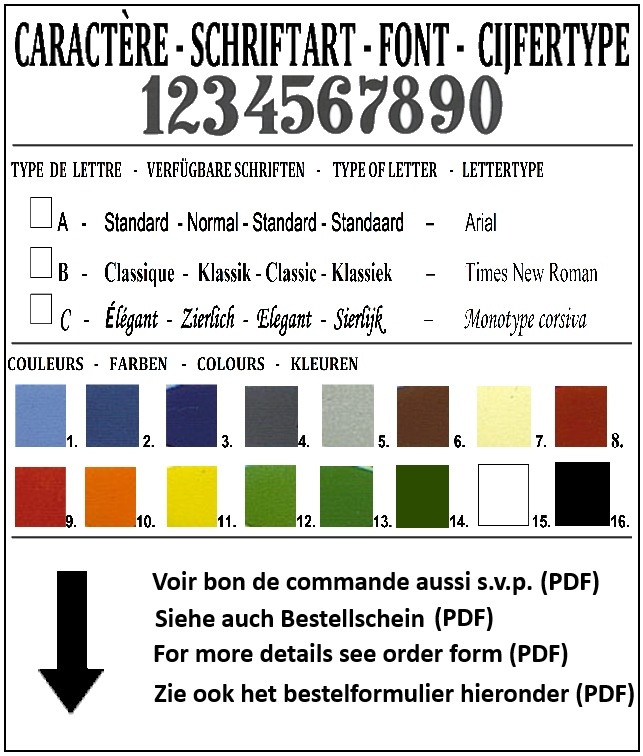 In normal circumstances the colours do not fade. Available in 3 different letter types and 16 (!) colours. Besides the sizes mentioned down here, we can offer you many different sizes and shapes on request. These signs are made especially for you! Delivery time between 3 and 8 weeks. After reception of your order, we can announce you a more precize delivery time. 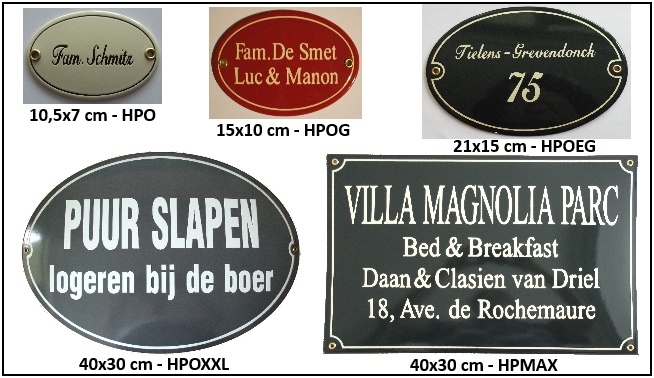 Plaques familles emaillees, Hausnummerschild Kombi Familiennname, Nameplates enamel, naambord, naamborden, naamplaatjes, familienaamborden, naamplaten, familienaamplaat emaille. 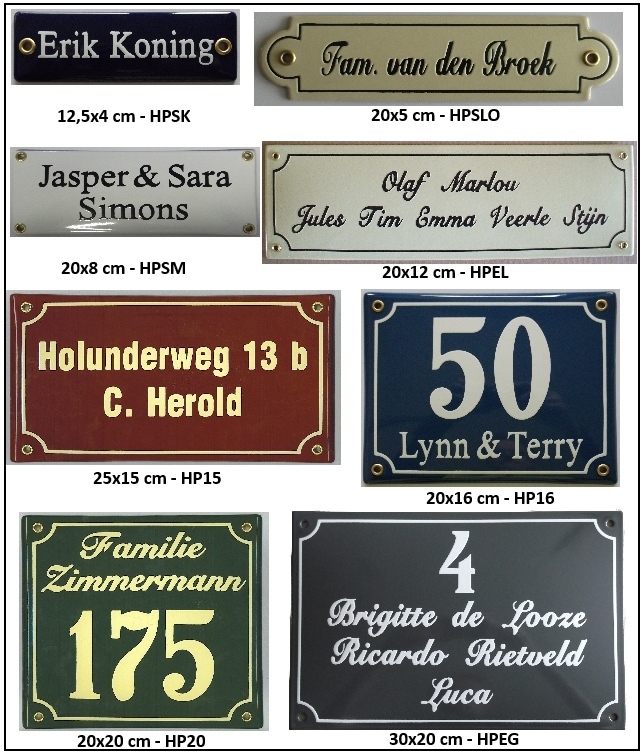 Plaques familles emaillees, Hausnummerschild Kombi Familiennname, Nameplates enamel, naamborden, naamplaatjes, familienaamborden, naamplaten, familienaamplaat emaille. Please make your choice and take the order form to your dealer. -In case you can not open the order form, please click HERE to download Adobe Reader.